Disclaimer: My good friends at Imports Dragon recently sent me a complimentary package of Disney Doorables, to review. All thoughts expressed are my own. The holiday season is fast approaching! So, today, I’m going to tell you about some hot new toys that I think are going to be on many a wish list, Disney Doorables. Let’s go, FAQ-style! You just made me spit out my pumpkin spice latte! It’s too early to be talking about Christmas. What’s wrong with you? Uh, that wasn’t exactly the kind of question that I had in mind for this. 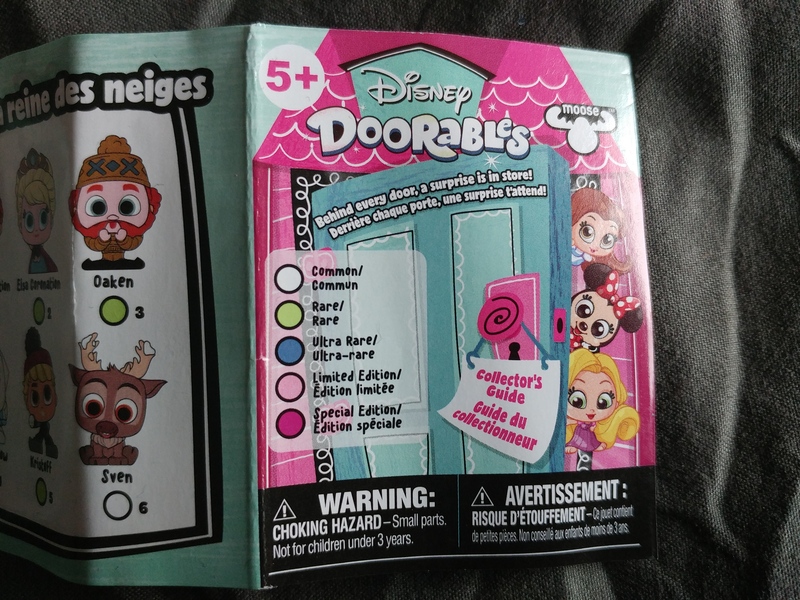 I don’t even know what Disney Doorables are. How can I frequently ask questions about something that I’ve never heard of? I think that you’re missing the point here. Fine. 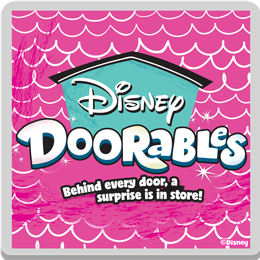 What the heck are Disney Doorables? 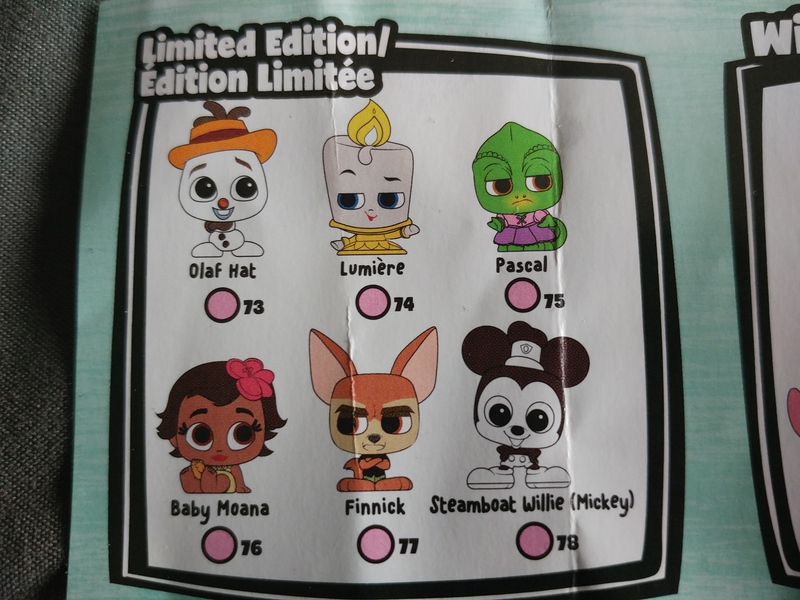 Basically, they are Disney’s entree into the mini collectibles and blind bag game. Think Shopkins, but on a Disney tip, with a door theme. Yeah. The motto is “behind every door, a surprise is in store!” Basically, the packaging that they come in is a blind box, with an opening that looks like a door. Cracking them open reveals which character (or characters) you got. The element of surprise is what makes it fun! So what does Disney have to do with them? 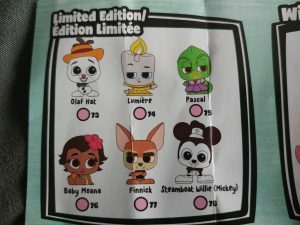 Each character is from a Disney property of some sort, which so far includes: Mickey and Friends, Tangled, Lilo and Stitch, Moana, Beauty And The Beast, Zootopia, Peter Pan, Frozen, Monsters, Inc, Alice in Wonderland, Pinocchio and Winnie The Pooh. Uhh. So we’re talking lots of iconic and memorable characters. Ya dig? Besides being tiny, what sets them apart from other mini collectibles are their sparkling, glittery eyes. For real, they’re pretty cute. Adoorable even. Haha. You won’t be able to handle them. Hoho. Your kids won’t be board playing with them. Hehe. If you keep making terrible door puns, I’m going to pun-ch you. Whoa sorry. I’l knock it off. Let’s move on. That’s better. 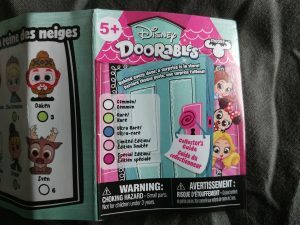 So how many Disney Doorables are there? As of this writing, about 80. Like all things collectible, they vary in availability. According to the check list, they are categorized as common, rare, ultra rare, special edition, and limited edition. Did you say limited edition? That sounds valuable. You’re hoarding a fortune’s worth, aren’t you? Pass ’em over, Mikey boy! In the shipment that I got from Imports Dragon, I didn’t get any limited edition figures. I’m not sure how valuable they are yet, either. What ages are these things for? Can I leave them with my baby in their crib and walk away? Nope. Despite being cute and shiny-eyed, they are really small. Like an inch high, that small. Manufacturer recommended for children 5+. That’s good, because I don’t have a baby? Are there just the figurines available? Or is there more stuff? Actually, there is more stuff. 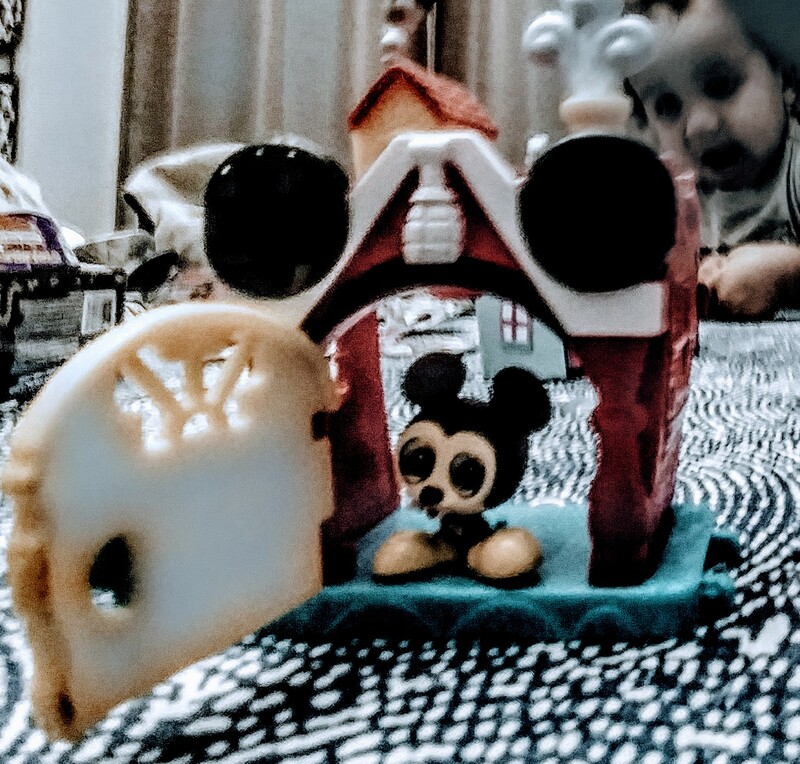 Each group of Disney properties also has an appropriately themed mini playset, available seperately. An island for Moana, the Beast’s chateau from Beauty And The Beast, a closet from the factory scare floor in Monsters, Inc, etc. The playsets come with Doorables and little accessories, too. 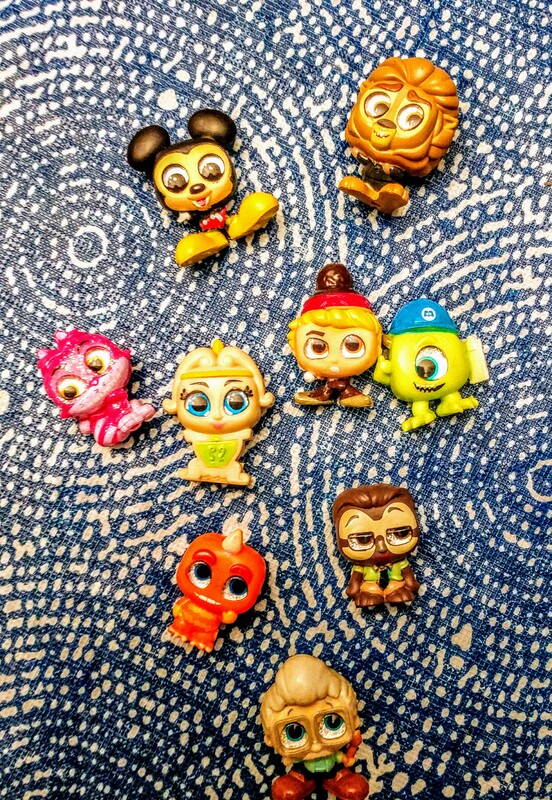 The cool thing is that they are connectible and stackable, so you can mix them to make your own little Disney universe. 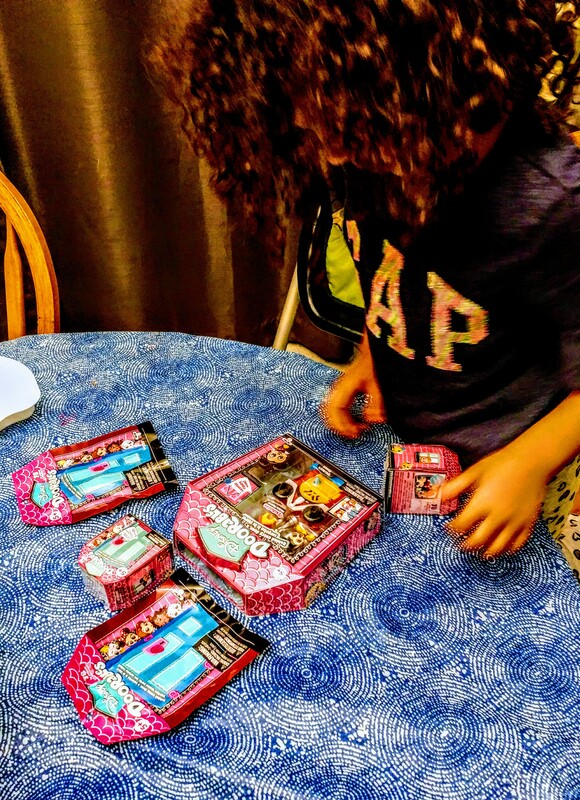 Can my kids connect them with other toys? Like Thomas The Train tracks, or a Breaking Bad lab playset? Um, no to both, especially the second one. Stick to connecting the Disney Doorables sets only. Got it. Disney. Hey, isn’t The View owned by Disney? When will we see a Whoopi Goldberg Doorable? Well, if they do, shut up and take my money! I’ll buy them all. Speaking of which, where can I buy Disney Doorables? Keep an eye out for them in the coming months at a retailer near you. Maybe they are already there. Otherwise, the usual suspects online, like Walmart, Amazon, Toys R Us (Canada), and Target all seem to be carrying them, presently. Thanks for the information, but I kinda don’t trust you or your opinion. For what it’s worth, my daughter, who really likes Shopkins, really likes these. Does that help? I guess so. Anything else? Nah, that’s all that I got. Happy Holiday shopping! 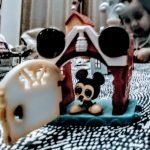 This entry was posted in Reviews and tagged in beauty and the beast, best toys for kids, breaking bad, disney, disney blog, disney doorables, disney doorables faq, disney doorables list, disney toys, frozen, holiday gift guide, lilo and stich, mickey mouse, moana, monsters inc, new toys 2018, peter pan, pinocchio, pinochio, pumpkin spice, Shopkins, tangled, the view, thomas and friends, walt disney, what are disney doorables, whoopi goldberg, winnie the pooh, zootopia. This was great!!! I literally am laughing out loud at this as I have 3 young daughters who are VERY in to shopkins. Very well written and informative to boot. Thanks for the laugh! Happy Holidays! !